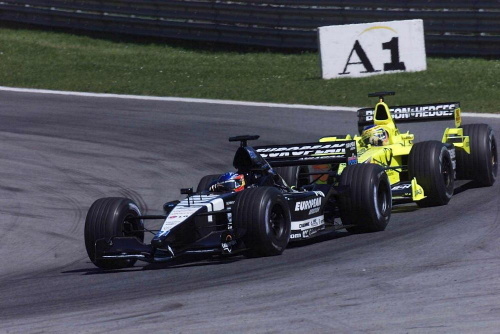 There were those who believed at the start of the 2001 season that Formula 1 would continue without a Minardi team and they had convincing arguments. Gabriele Rumi's bid to sell the team to broadcaster PSN had fallen through and the team had prepared the 2001 car for an engine which it couldn't use. Luckily an Australian businessman named Paul Stoddart had been keen on buying a Formula 1 team of his own after running an F3000 outfit and sponsoring Arrows. Stoddart had made his fortune in the airline industry and was ready to take on the large amount of debt the team found itself in. With only six weeks left before the season opener at the Australian Grand Prix, Minardi still had to get a car ready. Once again, the team was left with no other choice but to use the Cosworth V10 engine which by now was more of a museum piece than a modern F1 unit. In what can only be described as a superhuman effort by everyone involved - the Minardi factory in Faenza and Stoddart's technical staff in Ledbury, England - the team got a car ready for the season opener. 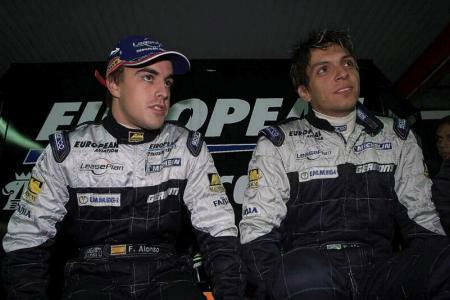 Minardi chose Spanish rookie Fernando Alonso to drive the car alongside Tarso Marques, who had already been part of the line up in 1996 and 1997. Marques was given the drive with the understanding that he would be replaced should a driver with a budget come along. With only Alonso doing some very limited pre-season testing at Vairano, it was a miracle that the Spaniard finished the first race of the season. Marques, whose first taste of the car came only at Melbourne, dropped out after three laps with a faulty battery. The Brazilian still scored the team's best results in 2001, two ninth spots. 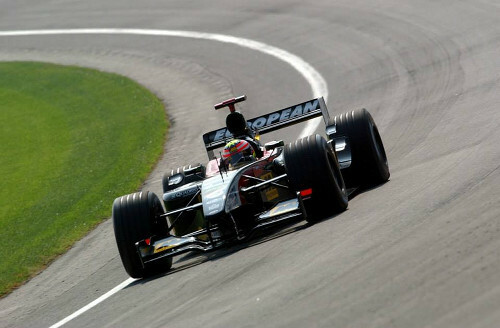 It was not enough to leapfrog Arrows for the much coveted tenth spot in the constructors ranking, however, and secure TV income for 2002. 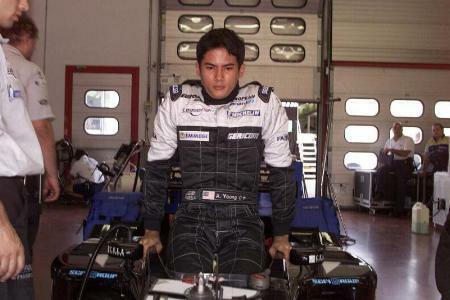 Nevertheless, the team acquired other sources of funding when Stoddart dropped Marques for the final three races of the season and replaced him with Malaysian driver Alex Yoong who brought a series of new sponsors to the team. While Alonso would leave Minardi at the end of the season, his farewell race at Suzuka may have been one of the best drives of his career, as he even lapped Olvier Panis in the BAR, finishing 11th out of 17. Alonso's departure may have been scheduled but the unpleasant surprise was that designer Gustav Brunner also decided, rather abruptly, to quit and leave for new entrant Toyota. Luckily most of the 2002 car was already finished at that stage. Further design duties were taken over by Grabriele Tredozi who had worked at Minardi for most of his career.